When I discovered Periscope through an online group called Freedom Hackers Mastermind on Facebook I was more than excited!!!! I had been waiting for a live stream platform to come into the market, especially an easy to use app like Periscope. From a business owners perspective Periscope was a dream come true. I could see the potential and opportunity right away. Broadcasting live in front of a bunch of strangers is not as easy as you think! I wanted to broadcast but I was shocked at how nervous I felt before hitting the big red "broadcast" button. I promised myself I would scope every day until I felt comfortable. I have to admit it took me a couple months to find my way and decide on specific topics and times. But it was worth the wait because now I have found my groove, found my tribe and feel grateful for the transformation on a business and personal level. You can catch me daily scoping about Facebook Marketing and Selling plus I scope top tips for new Periscope users. I think Periscope is a game changer! 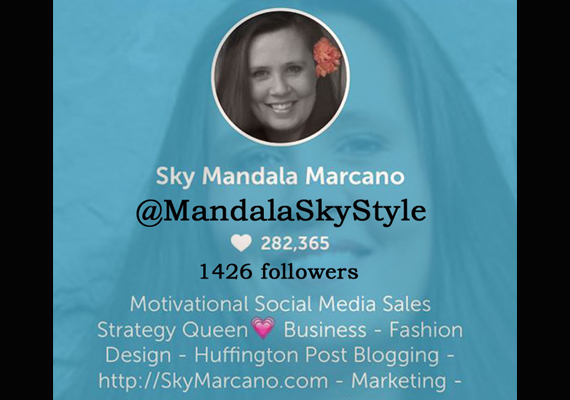 After 170 Periscope broadcasts I finally feel at ease when I share my top secret social media selling strategies. I have met incredible people, grown my Facebook business page, monetized some of my scopes and basically feel it was life changing for me in a huge way. The more I talked about my core message and stuck to my niche topics the more clarity I received about my voice, my business focus and my dreams going forward! If you want to grow your business and get exposure to new people across the planet, Periscope just might be the very solution you've been dreaming of. Savvy business owners who are seeking a fresh way to connect with their audience and gain new ones will be thrilled with what this new platform has to offer. And if you have obstacles to overcome when it comes to business (don't we all?) Periscope just might be the answer you've been praying for. There is a science and an art to Periscope and you can get good at it, however you must be willing to put in the time. With the right mentor or education, getting good on camera, creating good content that fits this particular platform, and learning how to get more hearts, followers and viewers is all learnable, so if you've been curious to try it, or if you've just gotten started but found it challenging, get in there and stick with it. Committing yourself to learning this platform can skyrocket your business in no time. You can make great new connections (including with influencers), get great exposure, monetize in a number of ways, and have an international reach with the click of a button. So what are you waiting for? Come say hi, join a community, dive in and go for it. You never know what doors it'll open for you and your business. 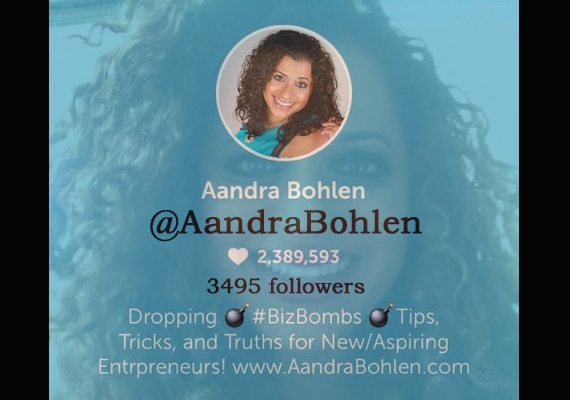 I would like to introduce you to a few people I admire, learn from and watch on Periscope. I hope you will join us! 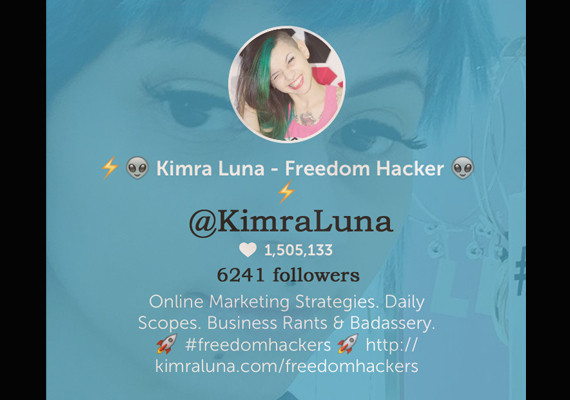 Kimra Luna Says: Periscope is the fastest and easiest way to engage with your ideal customers. You can give great value to your audience and answer their questions about the topics to build authority in your space. Its super fun and engaging. Periscope is my favorite place to connect with my current and new audience. Danielle Ford Says: The most successful businesses have been the ones who have mastered 2 powerful marketing concepts. 1) The use of online video to build their brand equity. 2) Actively engaging with their fans on social media, in real-time. Periscope is game changing because it allows both of these things to happen simultaneously and it makes it extremely easy. There is no tech knowledge needed, only a desire to serve fans and customers. That, mixed with timeless list building and sales strategies, make periscope the platform that business owners cannot afford to ignore. 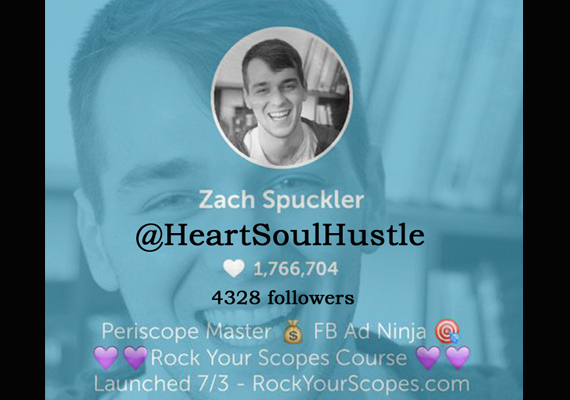 Zach Spuckler Says: My favorite thing about periscope is that I instantly have access to my ideal customers. Not only that but I'm almost talking to them face-to-face and it creates instant trust and connection. If all that wasn't enough you can be your unapologetic authentic self, and still use it to create mad profits in your business. Dana Garrison Says: As an entrepreneur who had to build a business while having a chronic illness, there has been challenges to say the least. Personally, I've not had the bandwidth to dive into social media due to illness, so I started out on Periscope bringing no audience of my own. Starting from zero, I've been able to grow to 3,700+ followers and have gained over 2 million hearts (Periscope's way of applauding broadcasters, which creates social proof that you provide valuable content) in about a month of scoping. I've also been able to gain a sponsor for my show and I've monetized quickly, creating income from a number of avenues. Granted, I took the time to study the platform (about 100 hours) and my background in business and psychology has helped me learn how to grow quickly. There are also groups you can become a part of that will help you grow on Periscope much more quickly. I founded the #LoveTribe Ninjas community specifically as a way to help Scopers be able to get more hearts, more viewers, and more followers, and to find new customers and joint ventures with ease. All that said, Periscope is a learnable skill. 1) Its LIVE so it gives you real time access and engagement. No more waiting for "likes" or comments while at the mercy of FB's algorithm. 2) You are connecting with those you serve and providing immediate Real Time Value which is a ROI on both ends; for you and those you serve. BOOM! 4) Building Relationships across the globe with other amazing influencers and Entrepreneurs! Hello... I got to talk to Oprah and Deepak Chopra!!!! 5) You can monetize this platform!! True Story: I have booked over 30 new coaching clients, sold over $15k for a group coaching program in less than 3 weeks, and have saved money on Facebook ads... BOOM AGAIN! 6) And finally, the connections and new friendships (real friendships) that are taken off of Periscope and into the real world are the icing on the cake! Please do yourself and your business a favor and download the few app, connect with me, and start scoping so the world can see your shine!